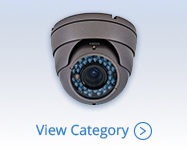 Upgrade your surveillance system to HD using an HD-over-Coax Bullet camera with 720P or 1080P video resolutions. 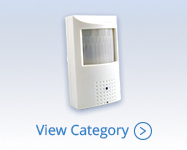 Pair with an HD-over-Coax DVR or Tribrid DVR to complete your new security system. 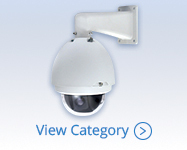 Upgrade your surveillance system to HD using an HD-over-Coax dome camera with 720P or 1080P video resolutions. Pair with an HD-over-Coax DVR or Tribrid DVR to complete your new security system. Install one of DSC's high quality HD C-Mount cameras in areas such as parking lots, parking garages, distribution centers and more. Get a customized security camera when you pair a C-Mount camera with the lens you need. Add a hidden camera to your surveillance system. All HD hidden cameras by DSC are Analog / HD switchable with 700TVL analog resolution and 1080P / 2 megapixel HD resolution. Choose a 720P or 1080P HD-over-Coax camera with infrared / night vision attributes for high definition surveillance of outdoor locations or areas that will not be lit 24/7, such as warehouses, garages, etc. Provide the clearest and highest quality surveillance outside homes and businesses and in high traffic areas such as parking lots or garages using 720P or 1080P HD-over-Coax exterior cameras. Pair with HD-over-Coax or Tribrid DVR. Get power, audio and data over coax using HD-over-Coax PTZ cameras from DSC. 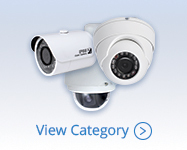 Choose from 720P or 1080P resolution cameras which will connect to either an HD-over-Coax DVR or Tribrid DVR. 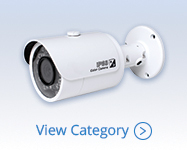 Browse all 720P and 1080P HD-over-Coax (HD-CVI) cameras available from DSC. 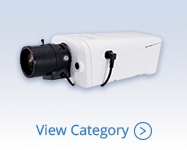 Choose from an economical 1 megapixel 720P bullet to a 2.3 megapixel 1080P varifocal armor dome. Use with HD-over-Coax DVR or Tribrid DVRs.